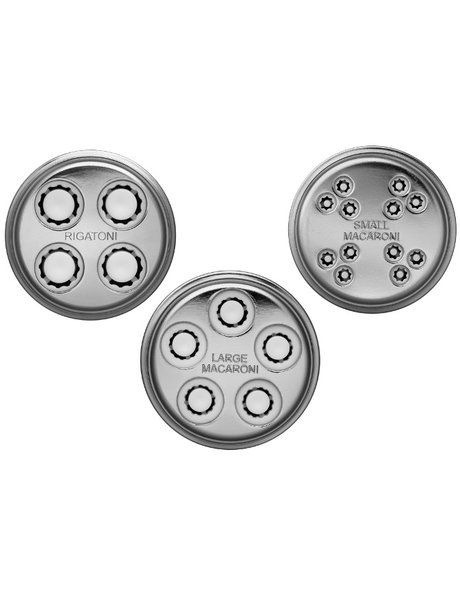 Transform your food mixer into a fresh pasta press with this handy attachment. 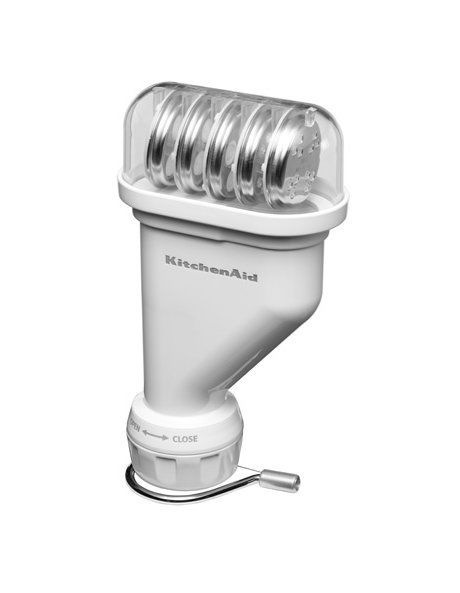 Designed for use with KitchenAid stand mixers, it can be attached to the hub with ease. 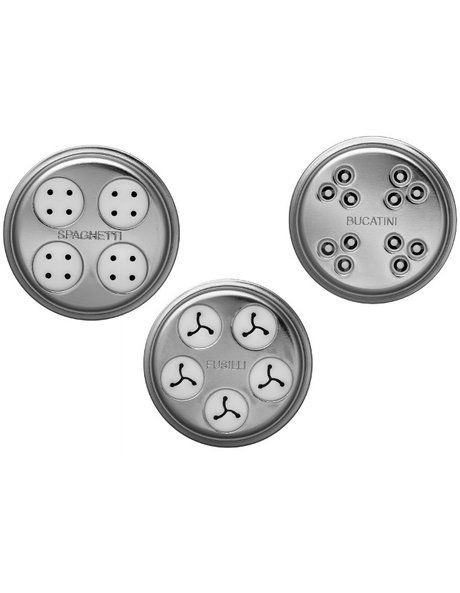 You can use its six plates to make two different sizes of macaroni, as well as spaghetti, fusilli, rigatoni and bucatini. 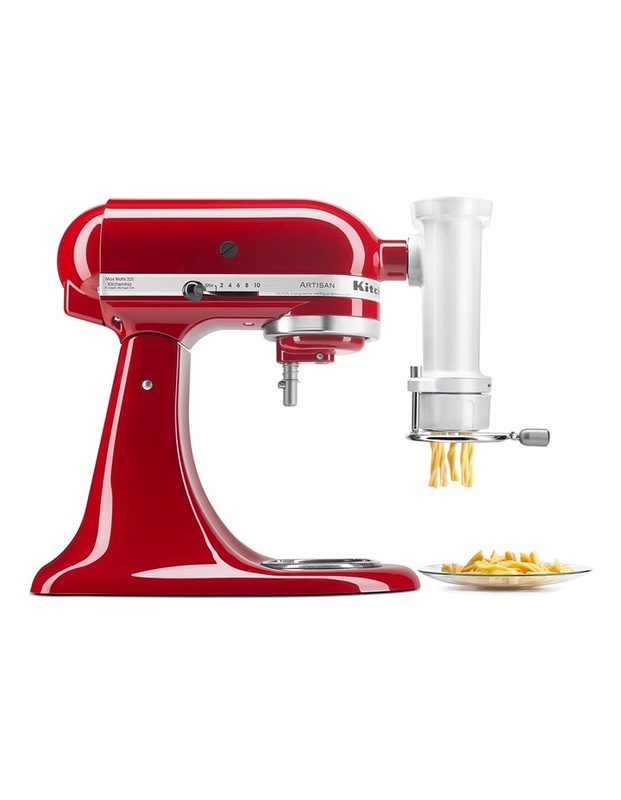 The KitchenAid Pasta Press Attachment 90316 has a built-in wire cutter, and comes with a combo tool and a case for accessory storage. - Comes with combo tool and storage case for accessories.